An audience is valuable. To have an audience even before you have a product or service ready to sell is pure gold. Imagine, you are launching a new product and can directly reach out to hundreds or even thousands of people and tell them about your new and shiny product. That is one main reason why so many people blog, use social media and build email lists: To be able to reach an audience whenever they need it. We have been writing quite a lot about building an audience for yourself with social media and blogging. Today I am going to give you some simple examples of how to build an audience with email lists – even if you not even have a product ready. Before I explain some examples on how to get people to sign up for your email list, let me make one thing very clear: The work does not end with people signing up for your list. That is only the first step to success. Having a number of people you can reach with email marketing does not mean you simply need to send them a product pitch and get a lot of sales. Catering for an audience with Email marketing is a complicated business. You need to keep in mind that before people buy, they need to listen to you and trust you. And to get them to listen and keep them listening is a science on its own. A science we are going to write about another time. For now simply keep in mind that people will neither open your mails nor buy your products simply because you want them to. You need to give them a reason to read what you send them. As with every piece of content you use in your marketing, your content for your email marketing needs to be really good and of value to your audience. Otherwise the numbers of your subscribers might be impressive – your results will not. The first thing you need to understand is that most of the time people who sign up for your newsletter want something from you they can get through the newsletter. That means you are most likely to get signups for your newsletter if you offer something your target audience really wants. That also means you may want or even need to combine several of the below ideas to generate more subscribers. This one is the one of the easiest ways to get a handful of signups for your newsletter list by simply offering the signup form on your blog. This only works if you already have an audience in form of readers to your blog. Plus, your content really needs to be outstanding and you need to provide a steady stream of this outstanding content otherwise signups will probably be rare. And you need to make it clear to the people you want to sign up to your list what they will get in return. It depends on you and what you send with your newsletter what people will get from signing up this way. Maybe you will be sending out blog posts directly to peoples’ inboxes – or even better you have some free and additional stuff you can send via the newsletter, something people can not get anywhere else. Many bloggers use this option: They offer something like a white paper, a cheat sheet or a case study. To get it people need to sign up for the email list. The better your offer is, the more people will actually sign up. Be aware that your offer needs to be targeted at your target group. If your offer does not match the interests of your target group, the audience (aka subscribers) you will build with this offer will not be targeted at your needs and your results from email marketing to this audience will be less to nothing. A free gift doesn’t always need to create a lot of work for you – many successful email marketers advise people to not spend more than two hours on this sort of gift. Recently Canva (the tool for creating great graphics, if you do not know it yet, please check it out) announced that “Canva for Work” is coming and asked people to signup for early access. I admit I am a fan of Canva and use it a lot. So even though I have no clue what “Canva for Work” is going to offer me, I signed up. Canva did even more, they offered me 2 months of “Canva for work” for free, if I got a couple of other people to sign up via my own personal campaign link. Since I absolutely believe Canva for work is going to be great, I shared it with my network and got Canva even more sign ups and 2 months of Canva for work for myself. So the basic idea is: Get people to signup for something they are likely to want and get them to share this by offering them early access or even offer them a special price or something for free. There are other examples of this method: The startup conference “WebSummit” built their email list with a similar concept: To get a ticket for one of their free side events (of course not the main event), you needed to give them the email addresses of at least three other people who might be interested. Although this sounds really nice, it is not as easy as it sounds. Many young companies have tried to build their email marketing list this way and barely anyone signed up. The reason is, if you offer early access to something no one knows, it is really hard to get people to sign up. The reason I signed up for Canva for work is that I already know, trust and love the original Canva. 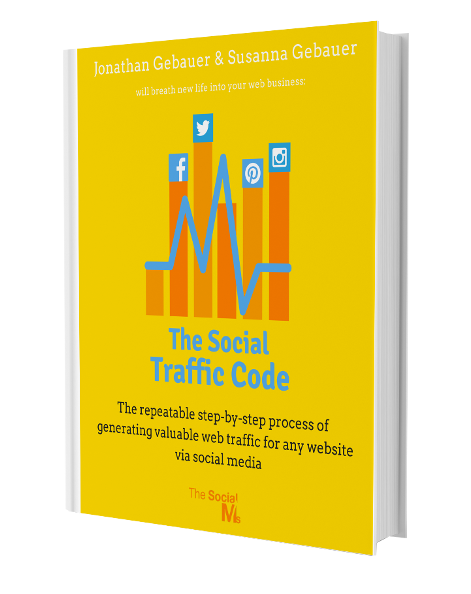 Learn how to get traffic, leads and customers from social media with the ebook “The Social Traffic Code.” It comes with a bonus chapter on email marketing and sales funnels! This is actually interconnected with the other ideas to build your newsletter list. You can use your social channels to drive traffic to your blog and then to get people to sign up for your newsletter. You can also offer your free gift to your social audience. You can do that with tweets, Facebook updates, Twitter direct messages or even via Facebook ads. In the end your goal is to get as many (targeted) people as possible to be aware of your free offer and to want your free offer enough to be willing to give you their email address in return. 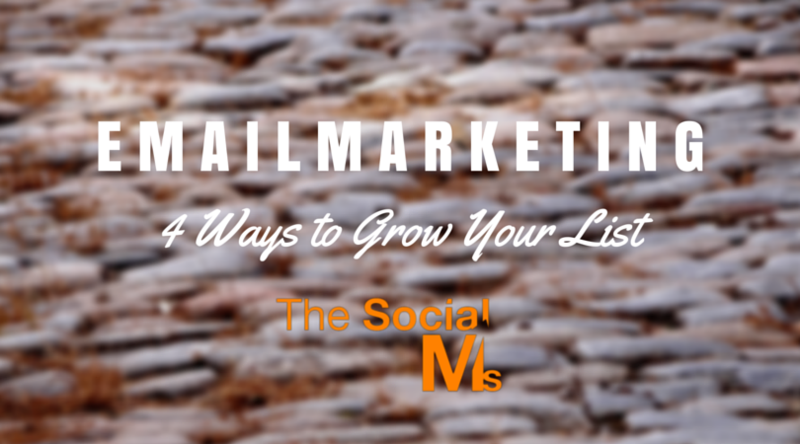 Any audience you already have, can serve as a push channel for building your email marketing. If you are a famous speaker, collect email addresses at your speaking events. If you are a guest blogger, add your free offer in your author bio, etc. 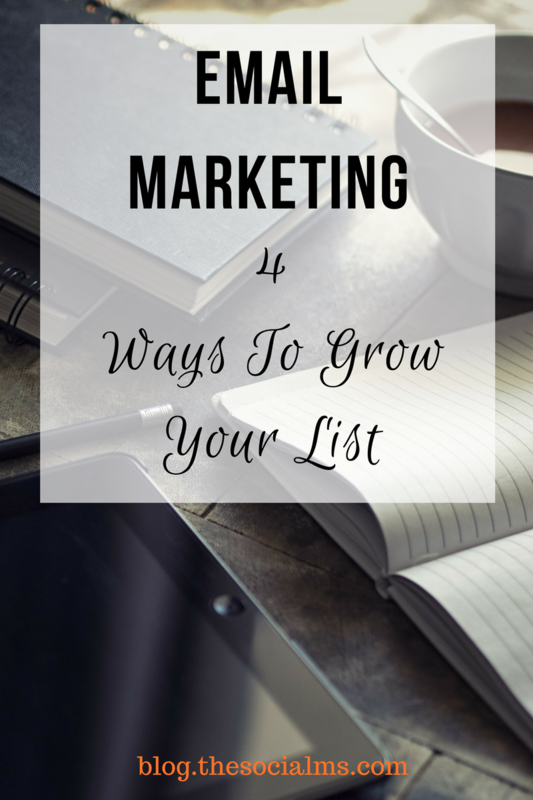 Already having an audience somewhere is vastly helpful for building your email list. Only keep in mind, that it is nice to have a great offer or concept to recruit people to your list. The hard fact is: if no one knows about your great idea, no one will take you up on it – simply because they do not know your offer is out there. And if people tell you traffic would not be the important number, an audience would be: Simply keep in mind, that an audience does not emerge from thin air, you need to grow it and traffic is the first step on your way to building an audience. The above ideas are just starting points – to successfully build a huge email list you should combine these ideas and add your own ideas to the mix. For instance: On your blog, you could offer additional content exclusive to email subscribers in addition to informing them about your new content. You could also add in a whitepaper that you could send directly after signup. You could also provide many different signup forms with different freebies – one could be a six-day email course, another one would be a cheat sheet, etc. Different people want or need different things – so you can make individual offers to different target groups. We use the email marketing software Drip. Jonathan has written a review of Drip!